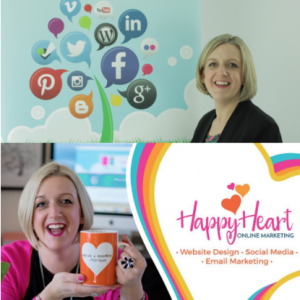 As you know my business has just gone through a very exciting transformation from ‘Branching Out’ to ‘Happy Heart Online Marketing’. And despite my initial reservations, it’s been an amazing journey. I started Branching Out from scratch, and over 6 years, I supported hundreds of businesses to boost their online presence. But 6 years is a long time. Things change. Clients’ needs change. My passion for web design grew, and the business took its own natural direction. 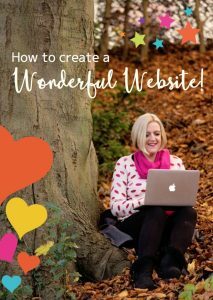 I was still helping more and more people to fall in love with their websites instead of hiding them away, or being too ashamed to drive traffic to their site and blogs, however, the whole Branching Out vibe, I felt, wasn’t quite me anymore. That enthusiasm I’d had for the whole brand concept was starting to diminish and I knew that in order for me to move my business forward, I had to seriously think about a rebrand. I’d outgrown the ‘Branching Out’ concept and wanted to appeal to a certain niche client who appreciated the idea of working from the inside out. Connecting with heart-centred business owners who understood where I was coming from on a deeper level became a priority for me. I knew the impact I could make on their online presence, particularly if we were on the same wavelength. So, I began to think about the implications of a rebrand. I was scared, I’ll admit it. I thought rebranding was going to be a huge project, and an arduous task which would make me regret even starting. But do you know what? I enjoyed every bit of it. Like everything we go through, rebranding is another part of the journey. It’s part of your business growth, and it isn’t the headache you might think it is. 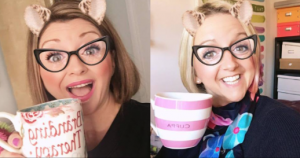 Granted, I worked with one of the best (Vicki Nicholson – Branding Therapy), so the whole process wasn’t only much easier, we had heaps of fun too. For those reasons, I’d highly recommend working with an expert if you’re thinking of rebranding. Looking back, I think that if I’d gone solo, the final result would not have had the same depth. Without Vicki’s prompts and support, I’m not sure I would have re-evaluated my business in such fine detail. I don’t think I would have really thought about why I do what I do and got to the real crux of my business vision. Because I think it’s important to recognise when you’re feeling stuck or restricted by your brand and that it’s ok to do something about it. Your business is, as I’ve mentioned, an extension of you, your ethics, your beliefs and your personality. It needs to flow with ease otherwise you’ll feel as though you’re paddling upstream, and that’s not what your business should feel like. I also want you to know that you might reach a stage in your business where it plateaus and needs a new identity – something which reflects you and where you are now at this stage in your business and your life. And I want to help you realise that nothing is too big to change. You don’t have to stay stuck. Just find the right people, support and vision to help you inject some fresh new life into your brand, and you’ll find your very own ‘Happy Heart’ just like me. It’ll make you fall in love with your business all over again. So if you’re ready to embrace a rebrand (and I can highly recommend it!) do feel free to get in touch. It really won’t be the headache you’ve set yourself up for.